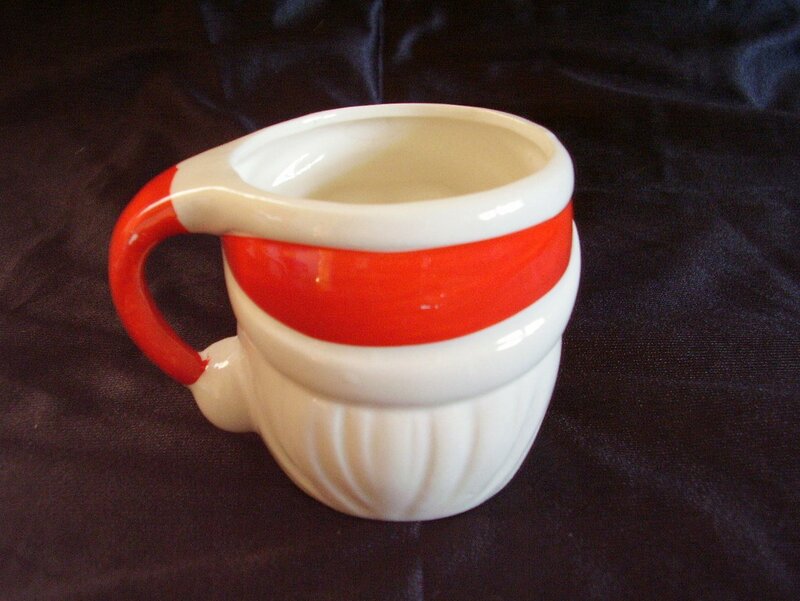 Just a simple Christmas Santa mug to hold your favorite beverage or to just sit on your shelf. He measures 2 7/8 inches tall x 2 7/8 inches in diameter and measures 3 3/4 inches across the handle. Holds 6 ounces. 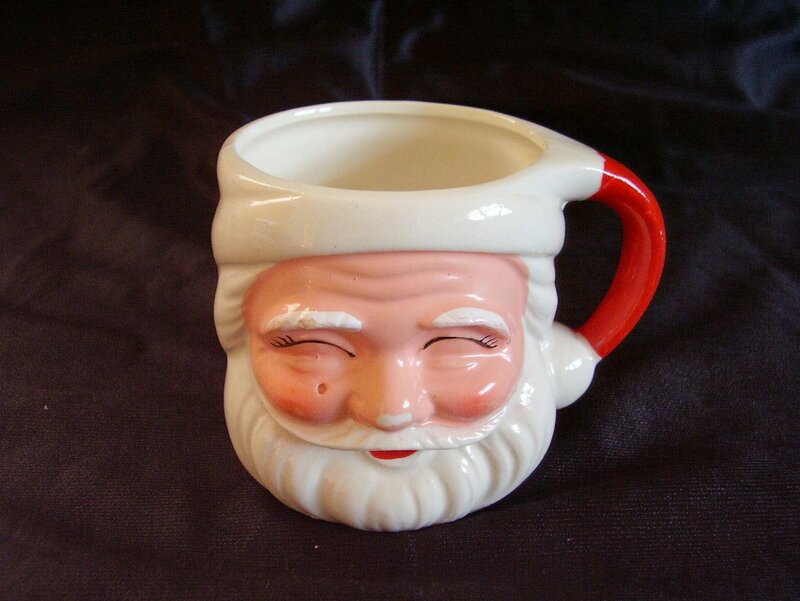 Just a simple Christmas Santa mug to hold your favorite beverage or to just sit on your shelf! He measures 2 7/8 inches tall x 2 7/8 inches in diameter and measures 3 3/4 inches across the handle. Holds 6 ounces. Very minor paint loss as typically seen in these items. No cracks, chips, fleabites or hairlines. A cute collectible for yourself or a friend. 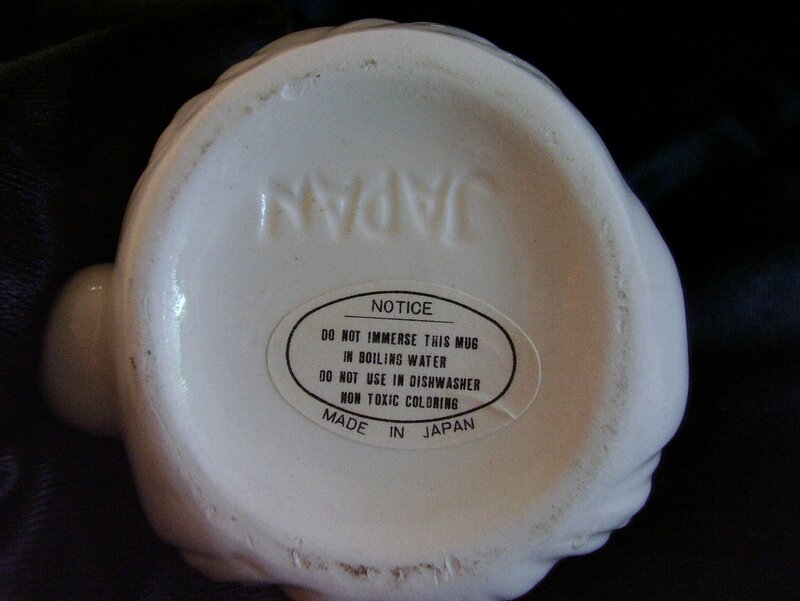 Bottom indicates made in Japan. Do not immerse in boiling water. No dishwasher and non toxic coloring.